You'll be £10.00 closer to your next £10.00 credit when you purchase Charge!. What's this? Cavalry was the queen of the Napoleonic battlefield. Surging squadrons of dragoons, dashing hussars or the awesome might of heavy cuirassiers often snatched victory from the jaws of defeat and decided the fate of kingdoms. 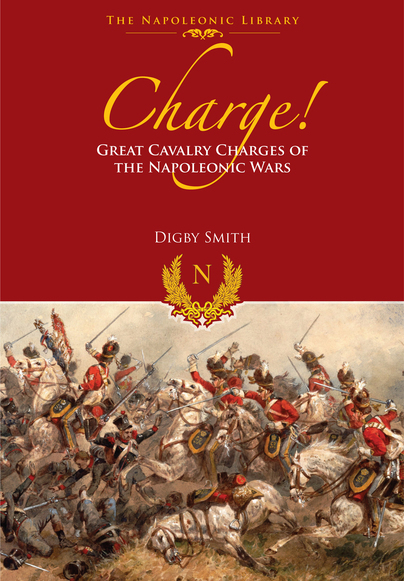 In this dramatic and spirited history of cavalry in the Napoleonic period, Digby Smith examines how battles could be decided by the skilful use of cavalry. He outlines the development of the mounted arm - describing the various types of mounted unit, their roles and abilities - and then sets out to describe how cavalry could turn the tide of battle. By examining such key battles as Marengo, Eylau, Albuera, the crossing of the Beresina and Waterloo, Charge! reveals how cavalry could be deployed in an offensive and defensive capacity or how an effective and well-timed cavalry charge could overcome almost any obstacle. The scenarios have been carefully selected to reveal how leadership, training, weather, terrain and the condition of the horses could affect the success of a charge. Replete with eyewitness accounts and tales of outstanding courage, Charge! is a dramatic read as well as a fascinating insight into the role and performance of cavalry on the Napoleonic field of battle. Digby Smith is a respected historian of the Napoleonic Wars and the author of a number of acclaimed books on the period. Digby Smith’s new book is an interesting addition to the Napoleonic library. The book is written in easy language and reads very fast. It will provide the basic information on the major engagements of the era and will certainly prompt the reader to seek out more information. Those with intimate knowledge of the period would probably find it lacking in details, but certainly enjoy the appendices and the maps. For the newcomers to the Napoleonic wars, this volume will be good way to start. In his dramatic and spirited history, first published by Greenhill Books in 2003 and now in 2015 by Frontline Books, an imprint of Pen & Sword Books Ltd., the author looks at the different types of cavalry, the tactics they employed, the care of the horses during the various campaigns and how cavalry could turn the tide of battle. By examining such actions as Marengo, Eylau, Albuera, the crossing of the Beresina, Waterloo and many more, he reveals how cavalry could be deployed in an offensive or defensive capacity, or how an effective and well timed cavalry charge could overcome almost any obstacle. The scenarios have been selected to show how leadership, training, weather, terrain and the condition of the horses could affect the success of a charge. The book includes 38 monochrome illustrations, 12 maps, numerous appendices featuring orders of battle, and an index of persons. An impressive and detailed work.